The Warrant knife from Gerber is tactical combat knife. 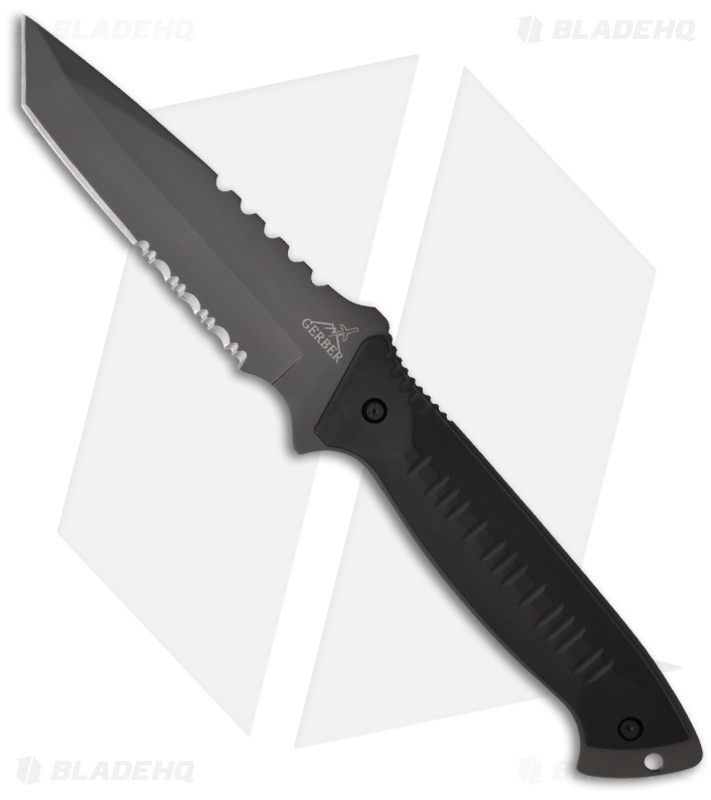 The tanto blade has a titanium nitride coating and a partially serrated edge for versatility in cutting applications. The Warrant has full-tang construction for unbeatable strength. The handle features jimping along the spine ramp and more aggressive notches above the blade for controlled cutting power. 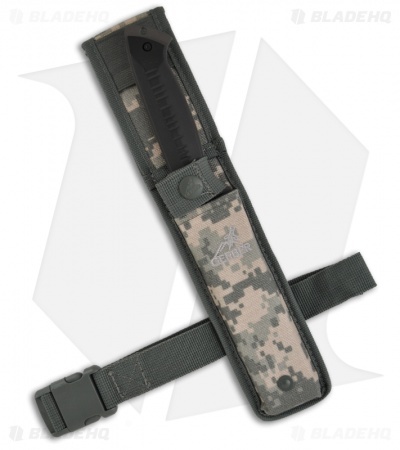 The digital camo nylon sheath for the Warrant is MOLLE compatible for securing to a belt or vest and includes a buckled leg strap. It is a good knife that you can stick in a pack and use and then stick it into your closet for the next two months and use again, but it is not a knife you can use all the time, I would suggest an Esee 5 or something in the $100 range for that.